Wine grapes are a climatically sensitive crop grown across a fairly narrow geographic range. Growing season temperatures for high-quality wine production is generally limited to 13–21°C on the average. This currently encompasses the Old World appellation regions of France, Italy, Germany, Spain and the Balkans, and those developing New World regions in California, Chile, Argentina, southern Australia and New Zealand. 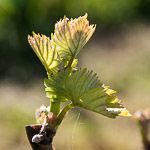 Speaking at the International Masters of Wine Symposium last month in Florence in Italy, professor Greg Jones, the wine climate specialist from the University of Southern Oregon, noted that the overall growing season temperature trend was upwards. This is for numerous wine regions across the globe from 1950–2000, by 1.3°C. Greater growing season heat accumulation with warmer and longer seasons has occurred. At the same time frost days (days below 0°C) have decreased from 40 to around 12 per year at Blenheim. There has been a decline in the number of days of frost that is most significant in the dormant period and spring, earlier last spring frosts, later first frosts in autumn with longer frost-free periods. For example in Tuscany, the Chianti region of Italy, summer temperatures have increased by 2°C from 1955-2004. The warming is extending the world’s wine map into new areas such as British Columbia in Canada, Exmoor in England and into the southern Baltic. When people just arriving in Warsaw over the last few days ask me how long I’ve been here, my general response has been “all my life.” That’s what it feels like. You’d think I’d be used to this, it being my 11th COP. But there’s nothing like that special feeling of tiredness having been in a hideous, air-conditioned stadium for 15 hours a day. And I’m not even a negotiator. We had a discussion today about whether a warm weather COP is better for achieving progress on the climate than a cold one, and it seemed this was so. Bali, Cancun and Durban did make better progress, on the whole, than Poznan, Copenhagen, and now Warsaw. Today was the day that a bunch of civil society walked out of the Polish National Stadium. WWF, Greenpeace, Action Aid, 350 and Oxfam, along with unions and youth left the meeting, noisily, in big numbers and with the slogan “polluters talk, we walk,” in protest at the way the fossil fuel industry appears to be running progress, or lack thereof. I understand where they’re coming from. Separate Oil and State and you’d get a lot further than where we are right now. Some NGO’s are staying inside to help steer the process through to the bitter end, which also seems understandable. 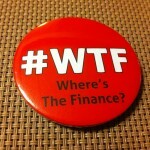 Author cindyPosted on November 22, 2013 Categories Climate business, Climate politics, environment and ecologyTags adaptation, Africa, Climate Action Tracker, COP19, UNFCC, warsaw2 Comments on Protest, procrastination and #wtf? It’s been a long day in Palmerston North at the NZ Climate Change Conference for 2013. There’ll be nothing particularly cogent in this post, but I have recorded interviews with two of the VUW 3 — Jim Renwick tells me about the southern annular mode,the ozone hole and sea ice, and Dave Frame gives me his take on TCS, ECS and Oxford — plus Professor Barry Smit from the University of Guelph in Canada talks about Inuit, wine and uncertainty. I’ll be posting those interviews later this week, along with some more I hope to grab tomorrow, and I’m lining up some guest posts for the future. All fascinating stuff — and I have to say it’s a great relief to find a bunch of really smart people who are focussed on the nuts and bolts of the issue, not the sceptic sideshow.